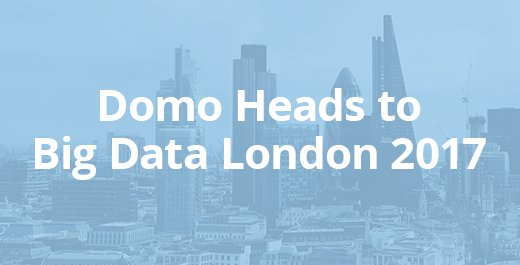 London – November 15, 2017 – Domo is headed to Big Data London 2017 to help IT professionals empower their organizations with real-time, self-service insights at scale. Domo will demonstrate how its platform helps technology and data professionals enable decision makers across the enterprise to make smarter, faster decisions that drive business results. Title: The BARC Annual BI Survey Review: How Does Domo Stack Up? Domo’s scalable cloud platform connects all your people and all of your data in real-time, allowing users to access and combine data from anywhere in their business. With Domo, governed, self-service insights can easily be delivered to stakeholders and customers in a modern, intuitive interface they’ll actually want to use. Decision makers and knowledge workers alike can leverage Domo’s rich, interactive data visualizations, seamless desktop to mobile experience, AI-driven alerts, and robust sharing and collaboration tools to make smarter, data-driven decisions. Big Data LDN is back for a second year and will be held on the 15-16th of November at the Olympia-West Hall in London. Big Data LDN is a free to attend conference and will host leading global data and analytics experts, ready to arm attendees with the tools they need to deliver the most effective data-driven strategy.